Special polyamide 6.6 ties, designed with head on inside for use on indoor playgrounds. 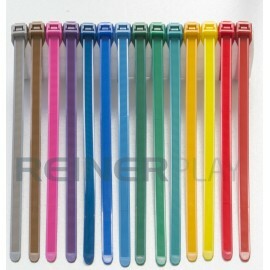 Available colours: red, blue, yellow, red, purple and orange. Playground cable ties There is 1 product.